The Hotshots were 1-3 with Marqus Blakely and hope to get an instant boost from Joel Wright. 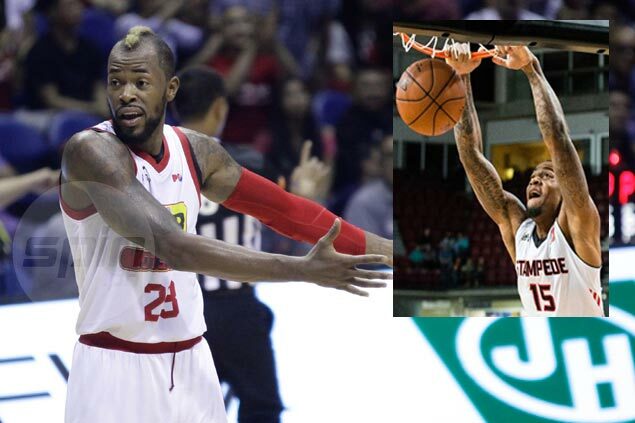 SSTAR has decided to go to a different direction, bringing in Joel Wright in place of Marqus Blakely as its import nearly midway through the PBA Governors’ Cup elimination round. After coming up with only one win in their first four games with their long-time import, the Hotshots have tapped the services of the 26-year-old Wright, a regular double-digit scorer in the NBA D-League, to boost their campaign in the season-ending conference. Agent Sheryl Reyes posted a photo on her social media account, confirming the signing of Wright with Hotshots team manager Alvin Patrimonio. Wright, who was undrafted in the 2014 NBA Draft before strutting his wares in the D-League, is generously listed at 6’7” but is expected to make the 6-foot-5 limit. Hotshots coach Jason Webb earlier challenged Blakely, who was in his fifth tour of duty with the team, to adapt to the times that has seen more prolific imports boost teams.